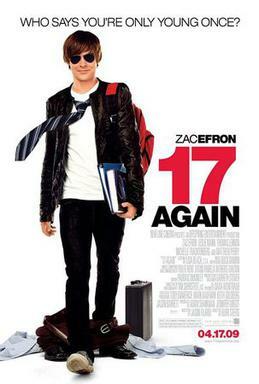 Both “20 Once Again” (Leste Chen, 2015, Mainland China) and “17 Again” (Burr Steers, 2009, U.S.) follow the formula of someone who was magically turned young and reliving his or her life. However, these films depict different social issues in different cultural contexts. “20 Once Again” was released in 2015 and is a remake of the Korean “Miss Granny” (Hwang Dong-hyuk, 2014). “20 Once Again” focuses on a seventy-year old widow who magically transforms into her twenty-year-old self. Before this, she had lost her husband during the Cultural Revolution period while in her twenties, and, as a result, needed to raise her son on her own by giving up her career aspirations. When the older version of this character discovers her family’s plan to put her in a senior residence, she goes to a mysterious photo studio to take a portrait as a souvenir for her family to remember her by. After the transformation, she is finally able to pursue her lifelong dream of being a pop singer, with the help of her favorite grandchild. At the end, she transfuses her blood to her heavily injured grandchild, causing her to revert to her normal age and life. “17 Again” tells the story of Mike O’Donnell, who is facing his middle-age crisis. Mike is in the middle of a divorce, and he also faces frustrations with his career and his rebellious children. He believes that these frustrations in his life have arisen because he has given up the chance to go to a prestigious university and get married. He visits his high school to reminisce and encounters a mysterious janitor, who later transforms him back into his seventeen-year-old self. The story describes how the seventeen-year-old Mike deals with his family and friends as well as how he tries his best to fix his problems with the new seventeen-year-old identity. “17 Again” presents a story of self-awareness and self-understanding of a man in a midlife crisis, longing to achieve a feeling of youthfulness and to correct decisions he had made when he was young. He sees the magical transformation of being seventeen-years-old again as a chance for him to fix the problems with his family. He then realizes that most of his efforts seem to further complicate the family relationships. Finally, he repairs his relationship with his wife through self-understanding after all the failure he has encountered. Although the two films use a similar formula of transforming someone in order for that character to relive a time in life, they address different social issues. Produced in Mainland China, “20 Once Again” relates to the ageing issues most Asian countries are facing. BBC News has reported that about 45% of China’s population would be over sixty-five-years-old by 2050. Aged parents and grandparents’ relationships with other family members have long been popular topics in Asian cinema – such as in “Tokyo Story” (Yasujiro Ozu, 1953, Japan), “Lan” (Jiang Wenli, 2010, Mainland China), “A Simple Life” (Ann Hui, 2012, Hong Kong), “Tokyo Family” (Yoji Yamada, 2013, Japan, a remake of “Tokyo Story”), “My Love, Don’t Cross That River” (Jin Mo-young, 2014, South Korea). “20 Once Again” brings a comedic approach to the issue of an ageing population. The film gives positive energy to the gloomy Granny to get back to her dream and to restart her career as a pop singer; however, she chooses to give up this new identity and life to save the life of her beloved grandchild and to recover her family nexus. Furthermore, “17 Again” touches on the issue of divorce and its impact on children. The younger version of the protagonist tries his best to recover the family relationship with his new identity. He believes that he has regained his energy as a seventeen-year-old boy again; he can achieve what his older version cannot. After he has won a basketball match, which the older version of Mike had missed after deciding to marry his wife at age seventeen, he thinks that he can fix problems that happened later in his life. However, in the party celebrating his team’s victory, Mike further complicates his relationship with his wife, with his daughter and with his best friend. He gradually realizes that being young again is not actually so advantageous, and he starts to understand who he loves and what he wants to do for his career. “20 Once Again” shows the virtue of sacrifice (Granny gives up her newly gained career) and the ties between ascendants and descendants (grandparents and grandchildren) in most Asian traditions, while “17 Again” demonstrates how a middle-age man tries hard to reach his goals (to save the marriage, to remedy the relationship with his children and to restart his career) by presenting a journey of self-understanding and how self-awareness can recover family crisis. This entry was posted in Analysis, Criticism, Reviews by Siu-lun, LEE. Bookmark the permalink. The Mediascape Blog is a forum for UCLA graduate students to interact with the larger theater, film, and television community about media-related topics.